Just last week, we completed our Fall Back Into Fitness Challenge, and I have to say it was the best challenge we’ve ever done. Why? Well, setting aside the fact we had an awesome, enthusiastic group of people participating, it was largely due to the fact we didn’t focus on weight loss. Wait. What? You DIDN’T focus on weight loss? Instead, we focused on developing good habits, habits that we can do, not just during the six weeks of a challenge, but for life. And, that my friends, is a key point. You see, anyone can gear up for a six-week challenge and lose a bunch of weight. But, keeping it off, well, that’s a whole other ballgame. Having run dozens of challenges over the years, I know all too well that when the focus is on the short-term quick weight loss goal, people will lose weight only to gain most of it back — often times more, just a few weeks later. So, for this challenge we focused on the long-term goal. The participants were given a series of habits to start practicing and earned points for doing them. Habits included making sure to drink enough water, getting at least seven hours of sleep each night, practicing mindful eating practices, eating healthier meals and exercising. The bonus was that over the course of the challenge they learned these habits, when put into place, not only help to lose weight but help achieve something FAR more important: keeping it off. You see, we ALL can easily rattle off a series of excuses as to why we can’t do things. We struggle to find the reason why we CAN do things to the point we’ll even invent reasons we know aren’t true to avoid the situation altogether. As the challengers found out, it’s not about taking some magic pill or using some super-douper “proprietary formula” to achieve weight loss success. Nor is it doing some new exercise craze or buying the latest “As Seen on TV” piece of equipment. No, it came down to learning how to eat real foods, in the right amounts and practicing healthy habits each and every day. That friends IS the magic formula. Sounds simple, doesn’t it? So simple, in fact, people can’t bring themselves to believe it. The reasoning behind being overweight and out of shape is not from lacking some magic pill or piece of equipment. It’s because you eat too much and don’t exercise. Our challenge participants found out when they came to terms with that and accepted their responsibility, they were able to overcome it. It didn’t mean beating themselves up over it. It meant acknowledging they have let themselves get in a situation, then accepting they had the means and ability to change it. Not only that, but they learned it’s not about being perfect, either. In the entire challenge not a single person scored a perfect week. Far from it. But they did find by adopting good habits — and, doing them 90, heck, 80 percent of the time — they’d see success. It really does come down to that. Accepting and owning that you made choices. Choices that led you to where you are today. You can’t change the past, but you can AND MUST acknowledge it and learn from it. You’re not acknowledging failure. You’re accepting feedback, and you need to view it that way. The choice is yours, either way. You can choose to wallow in self-pity, make excuses and hope someday you’ll find that magic weight loss pot of gold at the end of the rainbow. (You’d have a better chance of finding gold.) OR, you can say I’ve made mistakes. I need to own up to them, then DO SOMETHING ABOUT IT. Because, it is a matter of health, happiness and, for many of you, life and death. So what choice are you going to make? Dan Romand is co-owner and trainer at Full Circle Fitness-NY in Albany and Saratoga Springs. 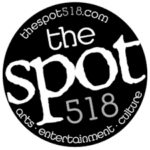 He also appears in TheSpot518 as a regular contributor to its Health & Fitness section.